Hotels-New-Zealand is a group of independently owned and non-related hotels, motels and serviced apartments providing accommodation located across Tauranga New Zealand. Hotels New Zealand allows you to deal directly with the hotels giving you the best possible rates for these Tauranga hotels. Book your accommodation online directly with the hotels in Tauranga and save !!! The hotel and apartment accommodation provided by the Hotel Armitage and Conference Centre is ideally located in the heart of Tauranga City, making it perfect for holiday makers or corporate business travellers looking for either short or long term accommodation in Tauranga. The Hotel Armitage and Conference Centre in Bay of Plenty is close to everything that the region has to offer, as well as having a numerous guests facilities and services including lounge bar, business centre, conference centre, currency exchange services, direct internet access, disabled facilities, faxing facilities, free car parking, guest laundry, fitness equipment, lift, restaurant, spa, outdoor swimming pool, security, 24 hour reception, baby cots available and daily housekeeping. The 3rd floor Gallery Restaurant and Bar, Poolside Dining Room, Clipper Lounge in-house bar with SKY, conference facilities, and the lovely outdoor pool & relaxation area make the Hotel Armitage unique in Tauranga's CBD. With personal touches and modern facilities, Gateway Motor Inn provides 4 star comfortable, clean, affordable and accessible motel studios and apartments accommodation, ideal for any holiday or trip to Mt Maunganui or nearby Tauranga. Named for the massive 232m hill that dominates the township, Mt Maunganui is often just called the Mount or Mauao. The Gateway Motor Inn in Bay of Plenty is close to everything that the city has to offer, as well as having a numerous guests facilities and services including disabled facilities, faxing facilities, free car parking, guest laundry, tour desk and daily housekeeping. Further facilities include BBQ facilities, dry cleaning service, luggage storage, non-smoking floors, photocopying services, printing services and FREE wifi access. The Quest Mount Maunganui offers 1, 2 & 3 bedroom fully self contained serviced apartments that are ideal for business or pleasure. 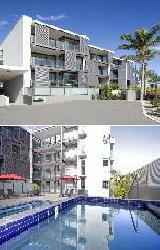 The Quest Mount Maunganui Apartments are ideally located on Mount Maunganui in the seaside resort town of the city of Tauranga, the heart of the beautiful Bay of Plenty. The Quest Mount Maunganui in Tauranga is close to everything that this region has to offer, as well as having a numerous guests facilities and services including free car parking, guest laundry, fitness equipment, lift, room service, sauna, spa, outdoor swimming pool, bbq, security and daily housekeeping. Business Travellers are well catered for at Quest Mount Maunganui with WIFI access in all apartments, faxing facilities, photocopying services and business administration services. The Quest Mount Maunganui Serviced Apartments is an excellent choice for business travellers and holidaymakers alike. The Durham Motor Inn is centrally located only 300 metres to shopping, entertainment, restaurants, cafes and bars, as well as being opposite Tauranga Domain, courthouse and baycourt. This quality Tauranga accommodation consists of spacious ground floor studio units that are serviced daily, set in enclosed courtyard and feature complimentary tea and coffee, cooking facilities, microwave, mini bar, fridge, shower, spa bath, heated towel rail, hair dryer, king or queen size beds, electric blankets, Sky TV, phone, clock radio, broadband internet access, heating and ceiling fan. The Durham Motor Inn also includes in-room breakfast delivery, guest laundry, dry cleaning service, conference facilities, swimming pool and free car parking, making is the ideal holiday and business Tauranga accommodation in New Zealand's Bay of Plenty. The Tauranga Central Backpackers is conveniently situated in the heart of the Tauranga city and is just 100 metres away from the visitors centre, bus stop, grocery shopping, bars and clubs. 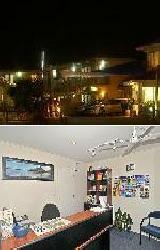 This great location makes the Tauranga Central Backpackers a greta place to stay. Combine this with the warm and friendly ambiance and a reception where you can book activities or find information about the area and you have the best budget accommodation in Tauranga. 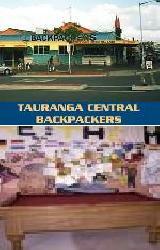 The Tauranga Central Back Packers provides all types of travellers with cheap accommodation rates and it also features a wide range of modern amenities and services such as direct internet access, faxing facilities, free car parking, guest laundry and comprehensive tour desk. Tauranga is the right place to enjoy outdoor activities in a sun-soaked surfie atmosphere and the Bay Of Plenty offers a wide range of fun and exciting activities. Colonial Court Motor Inn is conveniently situated on 15th Avenue, which is also the Pacific Coast Highway, in Tauranga on the North Island of New Zealand. This Tauranga accommodation is centrally located only 5 minutes drive from the city centre with its vibrant shopping area, restaurants, cafe culture and beautiful harbour. Just 10 minutes further from the Colonial Court Hotel is the world famous surf beach at Mt Maunganui where there is a range of water-based activities and marine adventures. All of these studio, 1, 2 and 3 bedroom Tauranga accommodation units feature daily servicing, fully equipped kitchen, microwave, shower, spa bath, king/queen size beds, free broadband internet access, Sky Digital TV, DVD player, electric blankets and ironing facilities. At the Colonial Court Motel Tauranga there is also cooked & continental breakfast available, swimming pool, children's playground, barbecue area, guest laundry, dry cleaning service, free internet kiosk and car parking. The Aura Lodge provides quality Tauranga accommodation in an eco-friendly piece of subtropical paradise. Aura Lodge is constructed from mud brick and natural timbers and is set in over 3 acres of beautiful rural countryside with extensive subtropical gardens. Visitors at this Tauranga accommodation can take time to relax and unwind in the secluded spa, aromatherapy sauna and gas-fired BBQ with outdoor dining facilities or simply stroll throughout the property visiting the friendly animals. The Aura Lodge is able to provide or arrange many other activities including fishing, trekking, hunting and sightseeing. This relaxing accommodation in Tauranga is a spacious standalone unit, complete with queen size bed, ensuite, small kitchenette, air-conditioner, Sky TV, hair dryer and generous full breakfast. Tauranga'a newest hotel welcomes you with the perfect fusion of style and comfort. 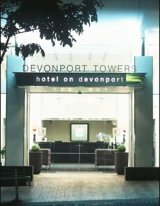 The Hotel on Devonport Tauranga combines modern, contemporary elegance with the latest technology in all of its accommodation rooms. This ensures that your holiday in Tauranga exceeds all of your wildest expectations. The modern conference facilities at the Hotel on Devonport offer the bonus of stunning views to the Mount and beyond. When you stay at this luxury Tauranga accommodation you can deel the pulse of the city with shopping, restaurants and cafes at your doorstep. 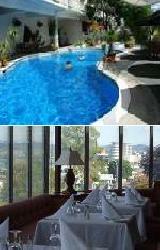 truly luxurious hotel accommodation in the heart of the Bay of Plenty. The Hotel Armitage is positioned in a convenient location close to the heart of Tauranga, which is the main city of the beautiful Bay Of Plenty tourist region. Accommodation at the Hotel Armitage consists of studio hotel rooms as well as fully self contained apartments. This affordable Tauranga accommodation features air-conditioning, heating, Sky TV, video player, guest laundry, 24 hour room service, swimming pool, spa and baby sitting service. Great value family holiday accommodation in Tauranga. This discount Tauranga accommodation provides quiet and spacious motel units in a wonderful garden surroundings. The 18th Avenue Thermal Motel is the closest accommodation to the hospital, RSA and historic village and is just a 5 minute walk to the new shopping complex in Tauranga as well as many restaurants, cafes, shops and bars. All of the accommodation units at the Academy Motor Inn come complete with fully equipped kitchens, double glazed windows, Sky TV, free courtyard parking and some even have private spa baths. The guest facilities at the Academy Motor Inn Tauranga also include a conference room, heated swimming pool, spa pool, bbq area, room service delivery from nearby restaurants and guest laundry. Great budget Tauranga accommodation only 5 minutes from the city centre. The discount accommodation at the Ambassador Motor Inn ranges from affordable studio motel units to spacious 1 and 2 bedroom apartments. All of the rooms at the Ambassador Motor Inn Tauranga are serviced daily and feature fully equipped kitchens, ensuite bathrooms with spa bath, hair dryer, ironing facilities and Sky TV. There is also a trampoline, basketball hoop and outdoor heated swimming pool at this quality Tauranga accommodation. The Aquarius Motor Inn has a range of affordable family accommodation in Tauranga close to the airport and Mount Maunganui. The superior studio, 1 and 2 bedroom fully self-contained apartments are ideal for both short and long term stays in the main commerical centre of the bay of Plenty and also features a guest laundry, heated swimming pool, spa, bbq area, 24 hour check-in and baby sitting service available. Situated only 10 minutes from the spectacular Mount Maunganui and close to the city centre the Bay City Motel is a great central place to stay in Tauranga. With jumbo spa baths, a heated indoor swimming pool, conference room, classic video library and free off street car, bus and truck parking the Bay City Motel Tauranga will make you next holiday one to remember. The Best Western Bethlehem Motor Inn provides travellers with luxury Tauranga accommodation in a quiet and relaxing setting. These quality ground level apartments are only a short walk from Mills reef winery, shops and the award winning somerset cottage restaurant. The resort style facilities included with your luxury accommodation at the Bethlehem Motor Inn include a swimming pool, spa pools, sauna, poolside gas BBQ, all weather tennis court, guest laundry, conference room and onsite parking for cars and boats. The Bridgeway Motel is ideally located in a garden setting by the water's edge only 4kms from the city centre and 10 minutes to Mount Maunganui. This sunny and spacious Tauranga accommodation has king and queen size beds, Sky TV, fully equipped kitchens, daily servicing, off street car parking and use of the hotels other facilities including heated swimming pool, spa, playground, free canoe hire and fishing from the hotels jetty. Set on spacious grounds and close to the harbour, walkways, Tauranga city centre, marinas, airport, golf course and Mt Maunganui via the Harbour bridge the Cobblestone Court Motel is discount Tauranga accommodation at its bery best. All of the units are fully self-contained, have acces to the swimming pool & spa and provide holiday accommodation that the whole family will enjoy. Relax in the heart of Tauranga's vibrant stylish city centre at the Harbour City Hotel. Situated across the road from Baycourt and only minutes away from the downtown shops and restaurants of Tauranga the Harbour City Hotel has been specifically designed to make business a pleasure with state of the art facilities for meetings and conferences. Brand new Tauranga accommodation ideal for corporate business travellers at affordable discount rates. The Luxury apartment suites at the Puriri Park Boutique Hotel Tauranga feature stylish modern interiors, full kitchens, spa baths, private balconies, mini bar, Sky TV and secure basement car parking. Cafes, restaurants and nightlife entertainment are within close proximity to the Puriri Park Hotel and the guest facilities include a fabulous swimming pool, internet, guest laundry, conference and boardroom, elevator and restaurant chargeback facility.